In a small Trappist Monastery located in the village of La Gorgoracha, Granada, the body of Father Abel, one of the monks, is found hanging from the ceiling. Although it was a suicide, the Prior decides to declare it an accidental death. The brutal effect of the event on each of the five members of the community will be aggravated by the morbid determination of a journalist to uncover the true nature of the death and publish the Friar’s diaries, in which he explains his reasons for taking his life. In spite of the Prior’s cover-up and manipulative attempts to preserve the life of silence, prayer and faith in the community, the upheaval will invade the spirits of the other monks, setting in motion a rupture that will change their lives. One of the essential authors of contemporary literature. Philosophical issues are interlaced with a surprising criminal plot that places spiritual interests in opposition to the voracity of the media. 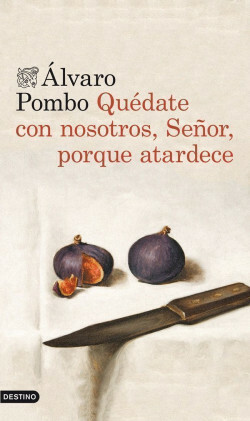 Álvaro Pombo has built up a brilliant, consistent career and is now a major contemporary writer. He has won a series of prestigious literary prizes, including the Herralde Prize for the Novel in 1983, the Planeta Prize in 2006 and the Nadal Prize in 2012.